Monitoring systems provide information about the environmental conditions of an area and send automatic warnings in case of any changes in environmental parameters. Data center versions: fixed building-based systems, main and sub-centers; vehicle-based and portable versions; mobile phone/tablet application. 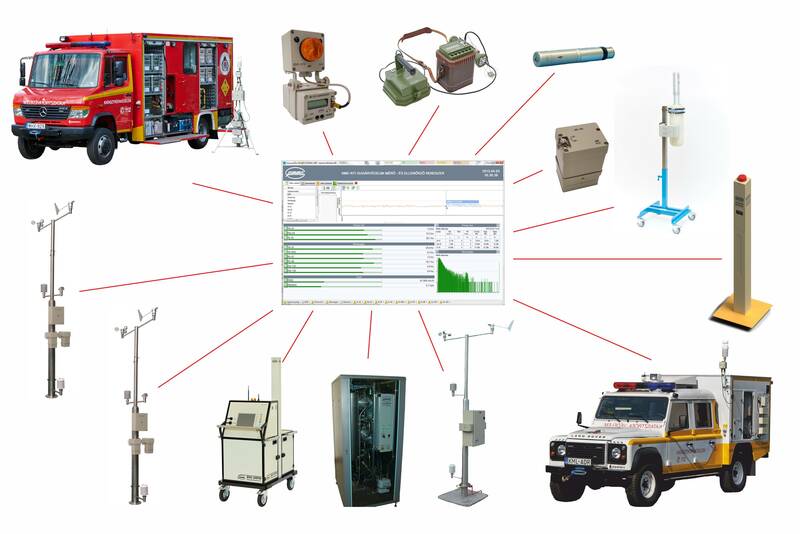 Monitoring stations, instruments: stationary or mobile monitoring stations; typically measured parameters: criteria pollutants, particles, toxic industrial gases, NH3, H2S, HF, Cl2 etc., LEL, CWA, meteorological parameters, gamma dose rate, alpha, beta airborne particle concentration. Information broadcast, warning: Early warning systems – sirens, in-door alarm interfaces; local displays, web publication, information exchange with national or international authorities, radio / television, SMS, e-mail.